Rainwater Harvesting Pondless Waterfall Add-On Kit - Aquascape, Inc. The Aquascape Rainwater Harvesting Pondless Waterfall Add-On Kit makes it easy to add a stunning waterfall or stream to Aquascape Rainwater Harvesting Systems. The water will flow over the included EPDM liner and disappear gracefully into gravel. Water is then directed back into the sub-surface reservoir and recirculated. 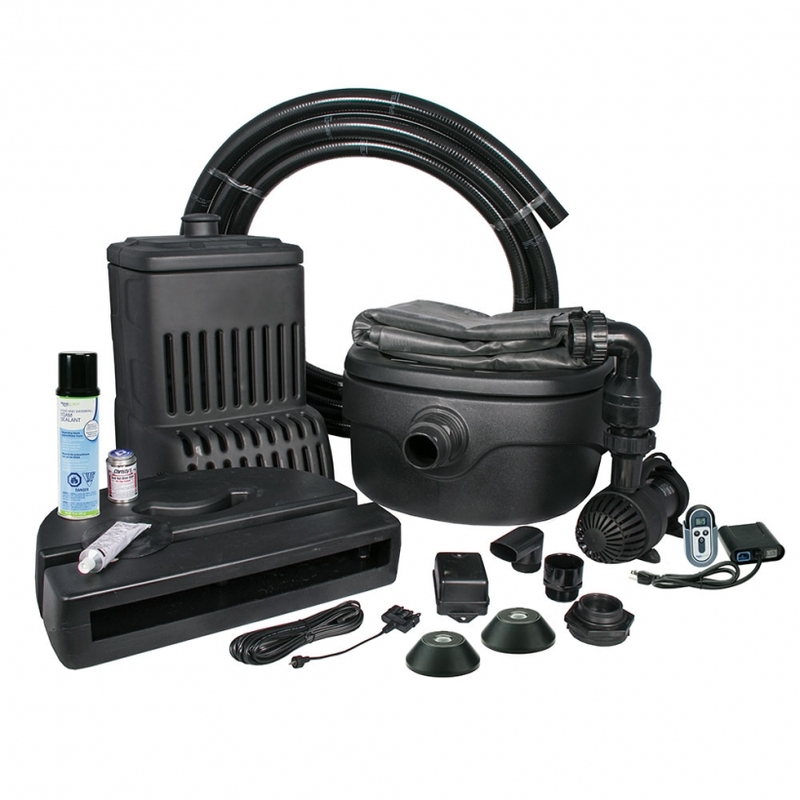 The kit includes a Pondless Waterfall Vault, perfect for pump placement and access. An included Waterfall Spillway creates the ideal starting point of the waterfall or stream, and the included AquaSurge 2000-4000 Adjustable Flow Pond Pump provides customizable water flow rates using a handheld, wireless remote control. LED lighting is included to bring the feature to life at night. The kit also includes 25 ft of 2″ Flexible PVC Pipe and an overflow kit used to manage excess water. Aquascape is passionate about the products we produce, providing unique products, designs, and features that stand above the competition.